Austria hosted the 2013 European Table Tennis Championships and it was the first time that a new format for the team event was used. The European Championships, first held in 1958 in Hungary, have continued to expand since then and you can read all about the history of the championships, and get previous results, here. 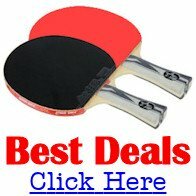 In 2010 the European Table Tennis Union (ETTU) amended the rules for the 2013 (and all future) team events at the European Championships. These revised rules introduced a new format for the biennial team events so that, in order to compete for the top prizes at the European Team Championships, teams have to qualify via a European league competition. This new European league competition is played in the 2 years preceding each championships and the results from these league matches are used to allocate teams into the various divisions at the next European Championships - and also to determine the seeding positions. ... and each member Association can only enter a maximum of one team in the Men's and/or one team in the Women's event with up to 5 players in a Men's team and up to 5 players in a Women's team. But, only teams who qualify for the Championships Division can compete for the overall title of European Champions. As this was the first occasion that the new Qualification League system was used, the initial Championships Division of the Women's Qualification League was composed of teams who finished in the top 10 places at the 2011 European Championships, together with the teams who finished first and second in the 2011 European Championships Challenge Division. These 12 teams were then drawn into 2 groups of 6 teams (Groups A and B) on the basis of a special seeding list prepared by the Ranking Committee of the ETTU. 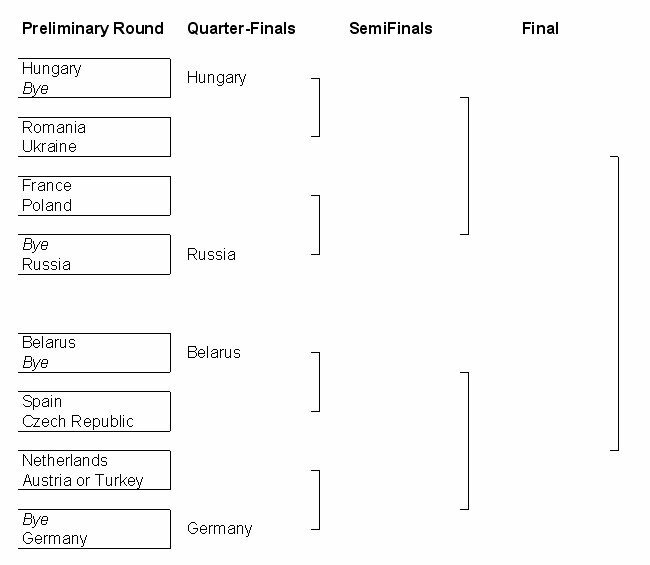 Group A: Netherlands, Hungary, Poland, Belarus, France, Croatia. Group B: Germany, Romania, Spain, Russia, Czech Republic, England. In each group the 6 teams all played every other team once, in order to determine a final ranking order for each group. The final group positions also determined the seeding positions for the competition proper. Teams who finished in positions 1-5 in their groups qualified for the Championships Division of the competition proper. The team who finished last in their group were relegated to the Challenge Division of the competition proper and the teams who finished 1 and 2 in the Challenge Division Qualification League were promoted to the Championships Division for the competition proper. So after all the league matches were played, Belarus, Czech Republic, France, Germany, Hungary, Netherlands, Poland, Romania, Russia and Spain qualified for the Championships Division of the competition proper and were joined by Ukraine who finished top of Group A in the Challenge Division. In addition, Turkey (who finished top of Group B in the Challenge Division) played off against the host nation Austria (who did not qualify automatically). Croatia and England were relegated to the Challenge Division and so were not be eligible to compete for the top prizes at the 2013 European Team Championships. Although only teams in the Championships Division could compete for the top prizes, there were plenty of other Women's teams taking part in the 2013 European Team Championships. Bulgaria, Croatia, England, Greece, Italy, Lithuania, Luxembourg, Portugal, Serbia, Slovakia, Slovenia and Sweden. Azerbaijan, Denmark, Estonia, Finland, Kosovo, Norway, Scotland, Switzerland and Wales. The 2013 European Team Championships were played using the progressive knockout system to determine the final position for every team, with the exception of a match for positions 3 and 4. So, following the conclusion of the qualification league to determine which teams qualified for the Championships Division, the draw was made on 4 September 2013. The top 2 teams from group A and B started in the quarter finals, whereas all the other teams started in the Preliminary round. However, Turkey had to play off against the host nation Austria, for a place in the Preliminary round. They then nominate their 3 or 4 players to the referee and assign a letter and number to each player (A1, A2, A3, A4 or B1, B2, B3, B4). ...and the match ends when a team has won 3 individual matches. The previous European Team Championships were held in 2011 in Poland and the women's team winners were the Netherlands, and the runners-up were Romania.